Rhythmic breathing is a simple breathing excercise for beginners. This yoga technique calms the mind, balances emotions, helps to release muscular tension, may increase respiratory capacity, and can help lower blood pressure. Perform this breathing exercise sitting upright or lying flat on your back. The four stages of this exercise are: 1. Inhale – 2. Hold the breath -3. Exhale – 4. Hold the breath. 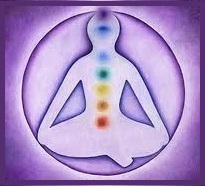 You will experience different results, depending on how long you spend on each stage of the breath. The following is an example of breathing in for a count of two, holding for a count of one, breathing out for a count of two and holding for a count of one before repeating the cycle (2 x 1 x 2 x 1). Exercising this sequence for a period of time can help speed up your respiratory rates. 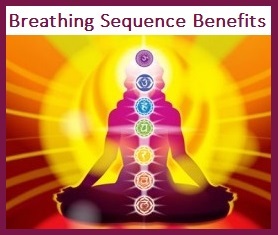 Here are what the breathing sequences can do for you. Please build up the number of breaths gradually, especially if you are not use to doing yoga breathing. Many find that practicing the 2 thru 6 sequences are the most comfortable and quite adequate exercises. 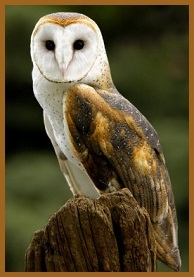 I feel a great fondness for Barn Owls with their magnificent heart shaped faces and the striking white under-feathering of the wings. 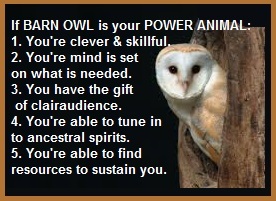 I am honored to work with the Barn Owl medicine that heals the feminine spirit. Open your heart express what you love without fear. Retreat in silence for minutes, hours, or a couple of days. Entering a period of fulfilling needs requiring adaptability. When needed, call on the spirits of your ancestors for help. You’re inundated with lots of noise & need a break from it. You feel that your emotions & intellect are out of balance. You believe that your resources are in short supply. I open my heart and soul to the truth. My life’s journey is illuminated before me. I have the wisdom to seek silence. 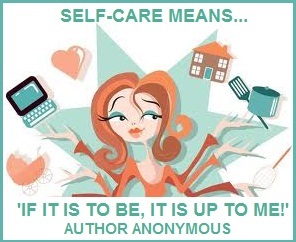 The most avid fan of Balanced Women’s Blog, my daughter, suggested the following phrase might be very appropriate for Tuesday’s Healing Word(s). I agreed. First before introducing an entire phrase, I wanted to research its beginnings and the author. Probably many of you might be familiar with this phrase that can have several meanings. 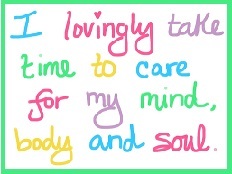 However, for today it is all about the importance of self-care. 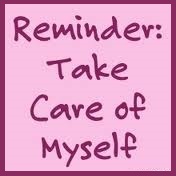 This is a great reminder and affirmation that before we can give quality care to others, we must first take care of ourselves. I am pleased this phrase was brought to my attention. If you have any post suggestions, let me know. My e-mail address is on the contact page. 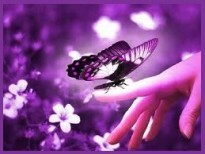 Do You Need Violet Energy? Violet is a color that can make you think in a more open-minded way and allows you to connect to the beauty, inspiration, and creativity within yourself. Violet might be the color you need today if this is true. Violet is also a power color. 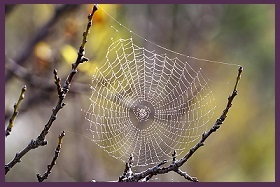 Wear violet to feel more positive about yourself and trust your abilities. 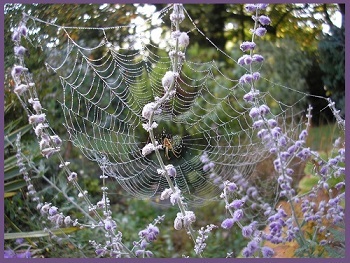 Violet is a soothing color. If you have difficulties sleeping, try using violet sheets or wearing violet pajamas, or adding a violet night light to help guarantee a good night’s rest. 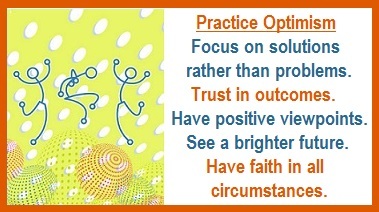 Gro unding™ stabilizes and grounds us in order to cope constructively with reality. It creates a feeling of solidarity and balance. Emotional chaos can lead to poor decisions. 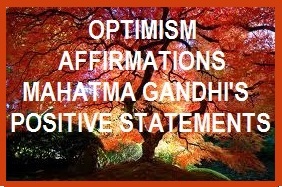 Grounding helps you cope with reality in a positive manner. How to use: For aromatic or topical use. Diffuse or wear on the back of the neck and on the temples. Young Living Oils ™ product information states dilution not required, suitable for all but most skin sensitivity. If pregnant or under a doctor’s care, consult your physician. Generally safe for children over 2. 1. Place the green stone on your heart chakra. In your left palm hold the clear crystal pointed up the arm and inward to the heart chakra. Hold the other clear crystal in the right hand pointed down away from the body. 2. Visualize a flow of energy coming from your left hand to your heart and from your heart down the right hand out of your body. Feel the calm energy filling you up from the left crystal and draining the tension down and out through the right crystal. 3. Important – now change the quartz points in each hand around so the flow moves in the other direction. Repeat this process. 4. After five minutes remove the quartz points from your hands and experience the calm green energy at the heart chakra. This is a good time to check in with the rest of your body. Feel free to place the green stone on any other area of the body where there is pain or the need for extra calming energy. 1. 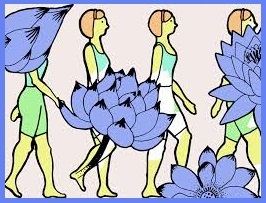 Learning the Art of Walking: First step is awareness or being mindful about yourself. How do you feel and what is your motive when walking? Are you in a hurry, anxious, or tense, which will bring on discomfort and quick exhaustion? The art of conscious walking depends on the rhythmical and harmonious movement of all parts of your body without unnecessary tension. 3. Becoming Aware of Your Feet: See if you can discover a gentle rolling motion, in conjunction with the swinging motion of your arms and pelvis? This helps release tension in the feet, legs, pelvis, and relaxes the shoulders. Bring your awareness to how grounded you feel. 4. Sense Your Breathing: Breathing reaches deeper down in the body when tension is released from the way we walk. As this occurs, the efficiency and capacity of your respiratory system increases. You are able to walk longer with less fatigue and feel more energetic. 5. Walking Inside the Energy Atmosphere of Your Breath: Visualize you are walking inside the atmosphere of your breath. This atmosphere surrounds and interacts with the body as you walk. This breath energy is your life force. 6. The Art of Walking Begins with Awareness: Mindful walking supports our health and well-being. Awareness Walking can share some of the same benefits as practicing tai chi or qigong.